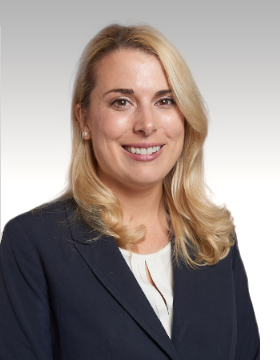 Jessica Zink is an attorney in the personal injury division at Phillips Law Group, P.C. She grew up in St., Louis, Missouri and received her B.A. from the University of Missouri, where she was named to the Dean’s List throughout her undergraduate studies. Jessica received her law degree from the University of Arizona James E. Rogers College of Law and is admitted to practice before the State Bar of Arizona. During law school, Jessica was a writer on the Arizona Journal of International and Comparative Law, held positions in the Law Women’s Association, and was a CALI Award recipient. Jessica participated in internships with the City of Scottsdale-Civil Division, Yuma County Legal Defender and City of Tucson Prosecutor’s Office. Having previously worked as an attorney in the immigration and criminal defense sectors, Jessica has extensive courtroom and litigation experience. She has drafted a wide variety of appellate briefs, and has had appeals successfully remanded back to Judges. She understands the complexities of the civil legal system and has a passion for helping victims who have been injured by the negligence of others. Jessica has represented many clients with different types of claims including motor vehicle accidents, premises liability, products liability and wrongful death. Jessica is fluent in Spanish and is a member of the Arizona Association for Justice. During her free time, Jessica enjoys being outdoors, music, and spending time with family and friends.